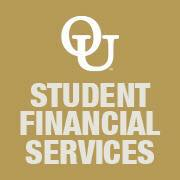 Undergraduate students admitted to Oakland University and selected for financial aid Verification are encouraged to participate in a Financial Aid Student Tasks (FAST) appointment to get help completing important financial aid tasks. Completing these tasks will prepare you well should you choose to attend Oakland University. Please activate your OU account before your FAST appointment. Appointments take place at the OU-Franklin Wright Settlements location (upon arrival, press the Franklin Wright Settlement buzzer and check in at front desk located just inside the main entrance on Lothrop Road). Prior to attending the appointment, please activate your OU account. Please provide student information below.